The pinnacles are actually Tufa Spires, porous rock that formed some 10,000 to 100,000 years ago when calcium-rich groundwater interacted with the alkaline water of Searles Lake. Back during the Pleistocene Ice Ages, massive runoff spilled form the Sierra Nevada into a chain of “inland seas,” of which Searles Lake was one (reaching a depth of 640 feet). 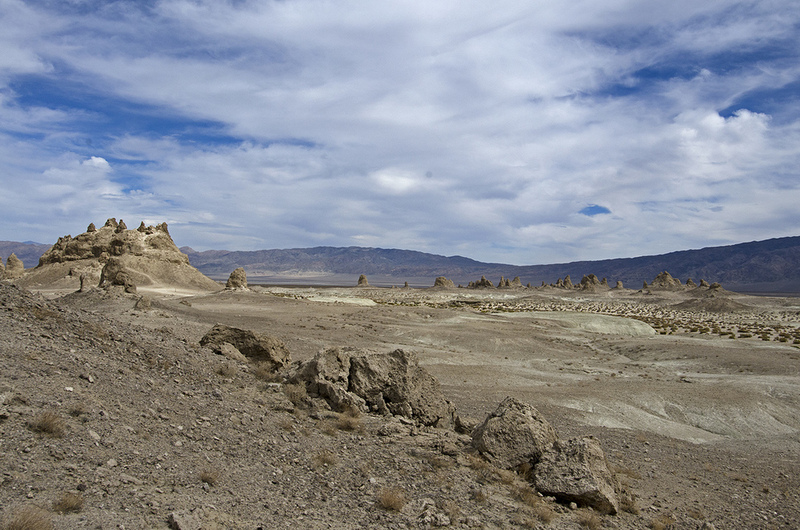 The system of interconnected lakes ran from Mono Lake in the north to Death Valley in the south. 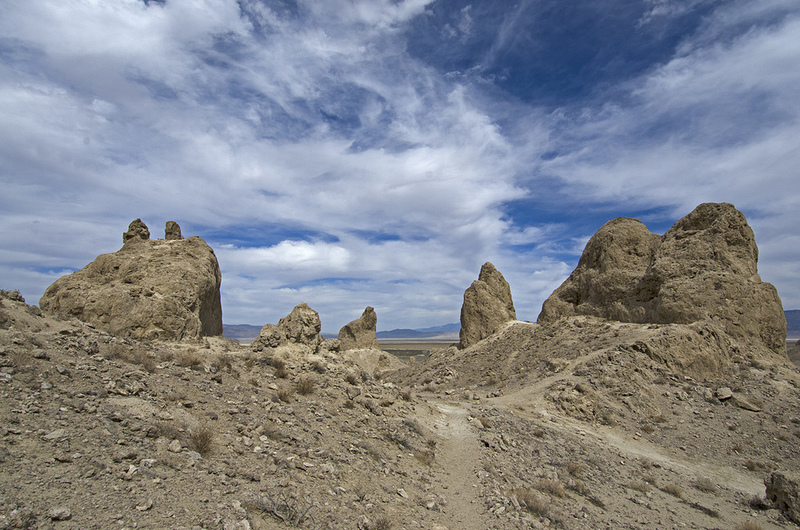 The Tufa formations here are closely related to the ones found at Mono Lake. There are over 500 Tufa Spires here, and they come in all different shapes and sizes. Tall ones are known as “Towers,” the squat and stubby spires that rise 20 to 30 feet are known as “Tombstones,” and the ones less than 10 feet tall are known as “cones.” The massive hills with broken spires are known as “Ridges.” The Pinnacles didn’t all form at the same time, but rather during three separate and distinct time periods. 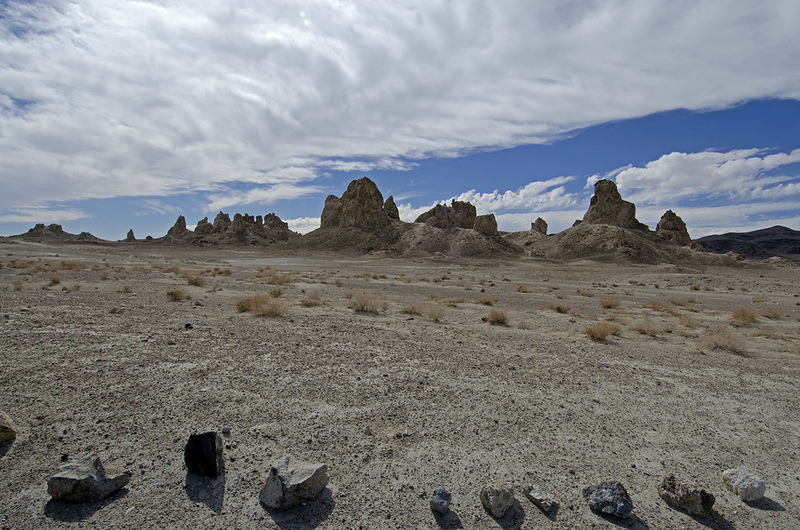 The southern group is the oldest and includes some 200 Tufa formations, ranging in age from 32,000 to 100,000 years old. The small middle group contains around 100 spires and is slightly younger than the southern group. Its claim to fame is the tallest “tower,” checking in at 140 feet tall. The northern group is the baby at 10,000 to 25,000 years old. 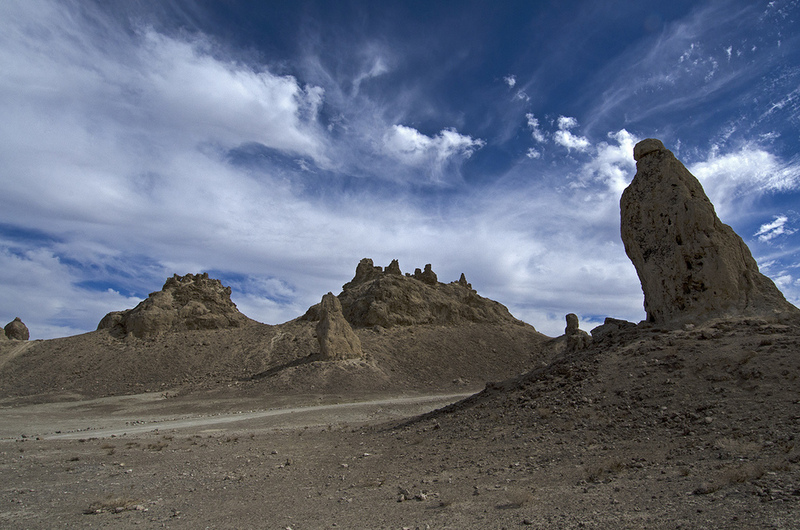 It contains great examples of all the different shapes of Tufa Spires. 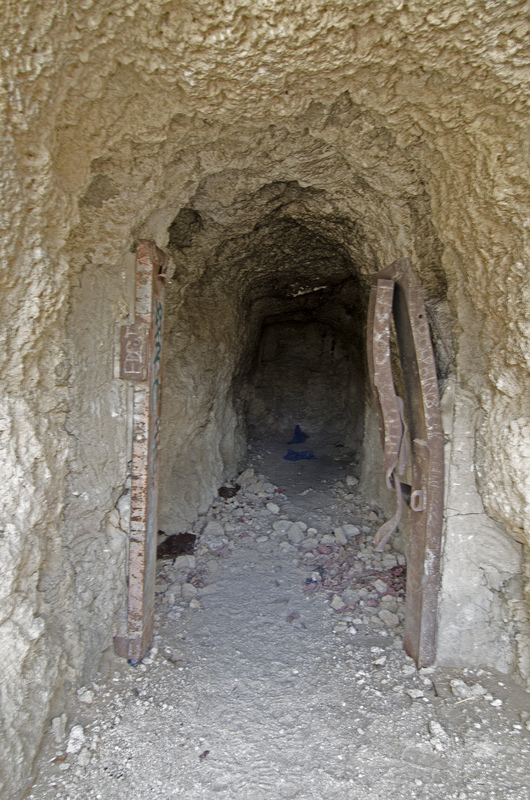 Miners have left their mark at the Pinnacles, there are several tunnels and shafts leading into their depths. Rather than finding a bonanza, however, I think they found borasca. But Huell Howser found California Gold here in 2008. The first part of this show features Huell at Trona Pinnacles. 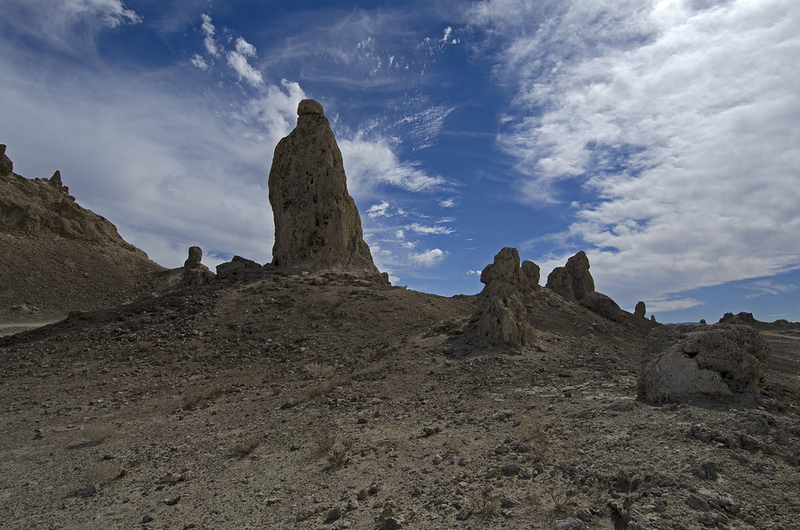 If you’re like me and you enjoy things mysterious and primitive, the Trona Pinnacles is a great place to visit. 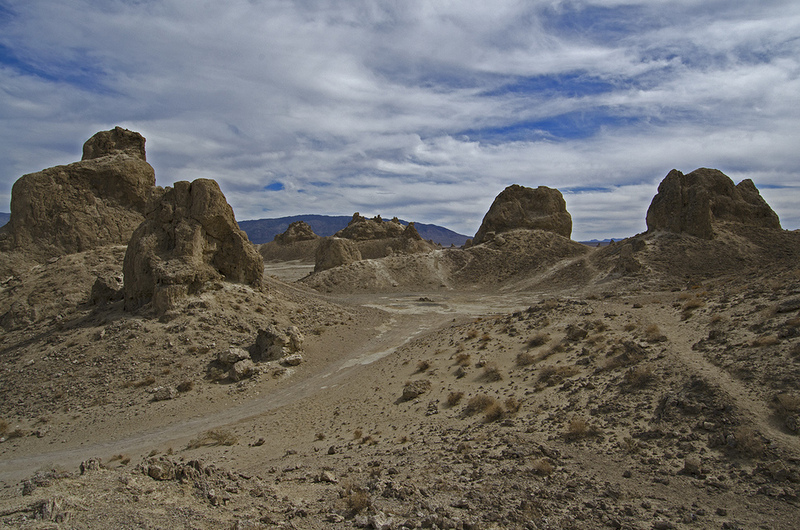 Walking through the strange formations, it was easy to see why the area was once known as “Cathedral City.” Viewed from the right direction, I could easily imagine the spires to be some kind of ancient, unearthly architecture. 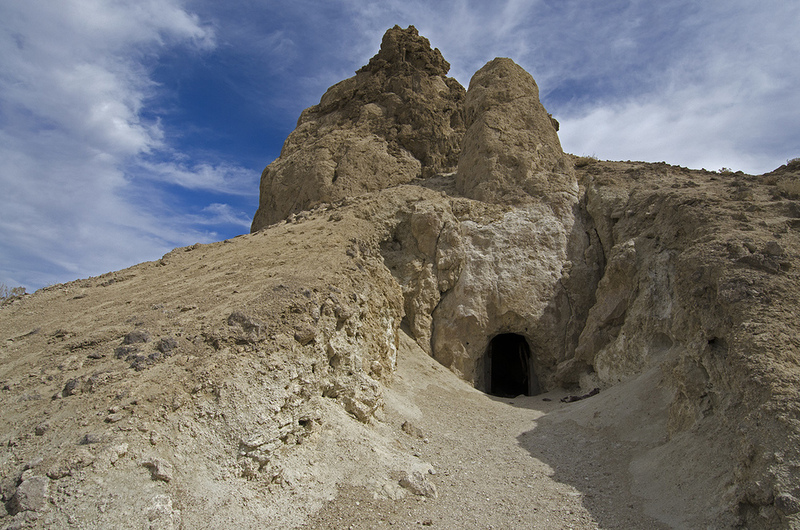 And the surrounding silence of the desert created a feeling of reverence and awe as I wandered through the Tufa. It’s definitely a visit I won’t forget. Check it out and see what you can find.